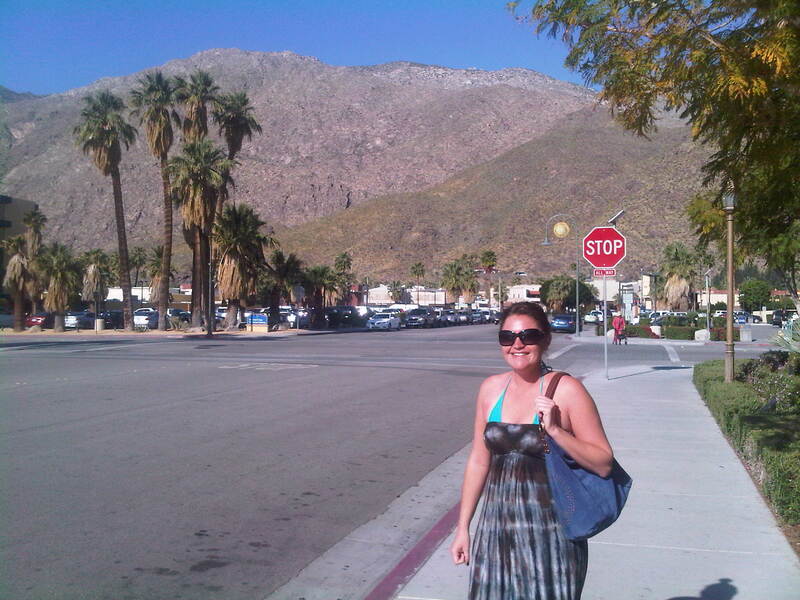 Two of my oldest friends, Laura and Christine, and I went away for a girls’ night to Palm Springs yesterday. Being that the three of us met our freshman year at San Diego State it is fair to say that we’ve seen each other through a lot of different phases in our lives (happy, sad, stupid, smart, sober, drunk … and everything in between). Christine is married with a 22-month-old daughter, I’m married with two dogs, and Laura is dating. These variations in our lives don’t make a bit of difference. We all get along as well as we did when we first met eleven years ago. I’ve racked up major Hilton points so we got a “comped” room at the Palm Springs Hilton for the night. When I arrived, Laura and Christine had been at the pool for about two hours already – cocktails in tow. Still being as cheap as I was in college, we brought our own liquor and mixed drinks in our room. We stayed at the pool for another two or three hours, making friends with the other vacationers and college kids there on spring break. Around 5, we head up to the room to prep for dinner. More cocktails, a shower and some war paint, and we were off to Las Consuelas for some Mexican food. Dinner ends, we come back to our room; call the husbands and then – bed. Yep. Bed at 8:45 p.m. Such wild women. Christine – forever the degenerate gambler of the group – is up at 7:30 a.m. and off to the casino across the street for some black jack, where she hustles and gets us three free breakfast buffets. Laura and I roll over at 9, pig out and then leave Christine for more gaming. I am on the road by 10:45 to head home and Laura goes back to bed. We are a mere shadow of the women we were when we first met, but we get along just the same. Old friends never change. And while what we consider a good time changes a bit, it is still just as fun.